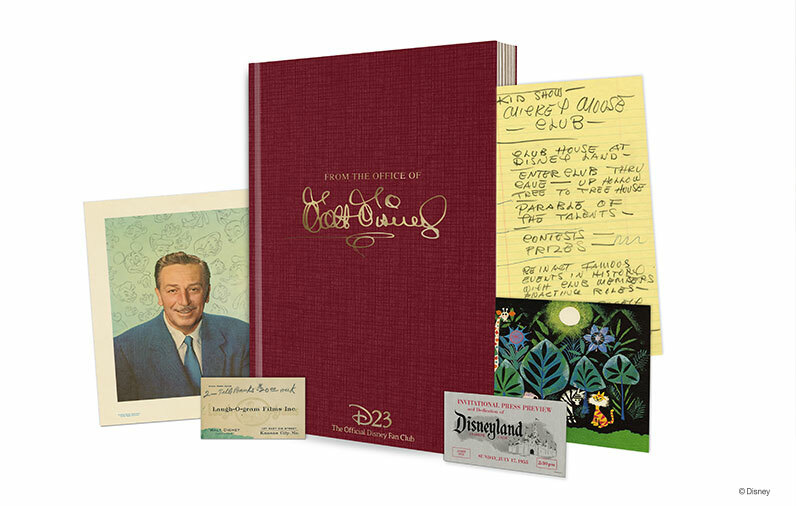 BURBANK, Calif. – December 29, 2015 – D23: The Official Disney Fan Club didn’t have to look far for inspiration for its 2016 Gold Member gift, “From the Office of Walt Disney.” To celebrate the restoration of Walt Disney’s office suite on the Studios’ Burbank lot, the Walt Disney Archives worked with D23 to meticulously reproduce 23 unique pieces from Walt’s career that trace his path from America’s heartland to the world stage. Included in the assortment are items from Walt’s early years in business such as his 1923 Laugh-O-gram Films Inc. business card and the famous 1928 “Everything OK” telegram, which Walt cryptically wired his brother Roy when he lost the rights to Oswald the Lucky Rabbit. Also in the collection are the 1955 Disneyland invitational press preview pass and Walt’s notes on pages from the “EPCOT Film” script from 1966. Pieces representing animation, live action, television, and theme parks—as well as Walt’s own personal life—make up this one-of-a-kind set. 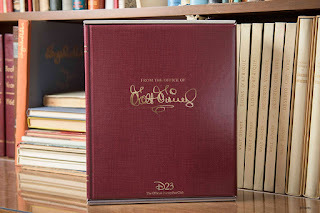 The gift comes in a “book” designed specifically to hold all the items and will be sent to all D23 Gold and Gold Family Members who join or renew from January 1 through December 31, 2016. 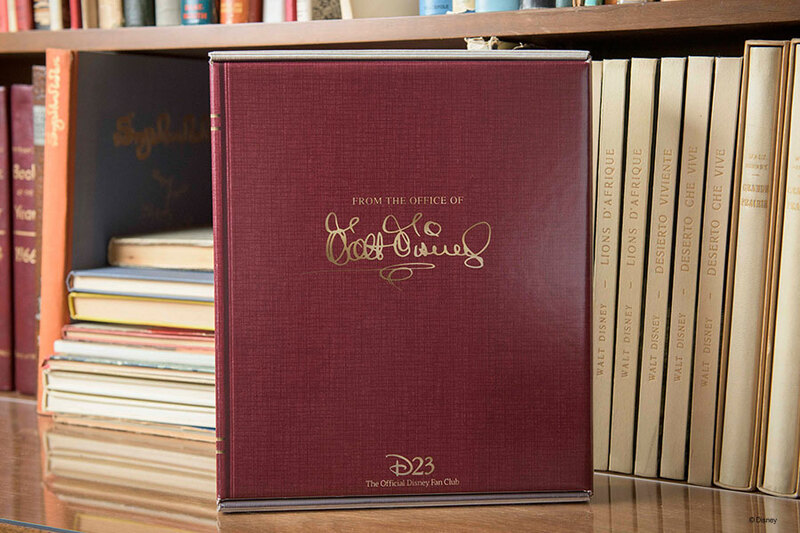 Guests can see images from the gift—and learn more about the 23 rare items—at D23.com/OfficeOfWaltDisney. As previously announced, D23 Gold Members will have the opportunity to tour Walt Disney’s restored office during tours and select special events throughout 2016. Fans can join D23 at Gold Membership ($74.99), Gold Family Membership ($99.99), and General Membership (complimentary) levels at D23.com and at DisneyStore.com/D23. D23 Members save when renewing their membership and may renew up to 90 days prior to their membership expiration. To keep up with all the latest D23 news and events, follow DisneyD23 on Twitter, Facebook, Pinterest, Instagram, and YouTube.